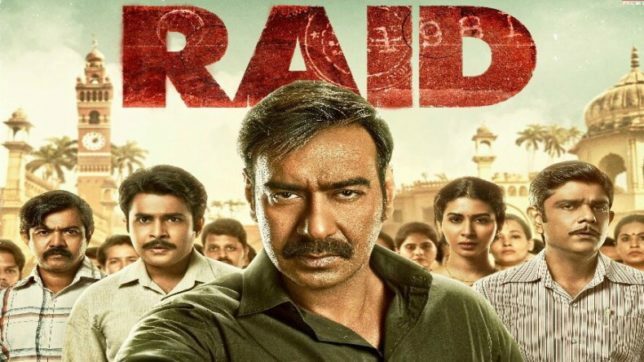 Raid, starring Ajay Devgan, is loosely inspired by the story of one of the most dramatic Income Tax raids, which occurred in the mid 80s in Lucknow, and took two full days to complete. It has some powerful moments, but it’s so thin on plot and sluggish in pace that by the end of it you’ll feel the film took just as long to unfold.In the end Raid left me very frustrated. It’s promising and delivers many rousing moments, but it runs out of steam well before the finish line. I’m going with two-and-a-half out of five. Raid works for two major reasons: Watertight screenwriting + sharp performances [Ajay Devgn and Saurabh Shukla are brilliant]… The face-off between the two is the USP… Ileana is decent… Amongst the supporting cast, actor portraying Saurabh Shukla’s mother is tremendous…Aamir and #NoOneKilledJessica director Raj Kumar Gupta delivers a solid film… #Raid is his best work to date… Also, the dialogue-baazi is sure to be greeted with whistles and claps… Word of mouth will help the biz grow.This nail-biting thriller is smart, engaging, gripping and entertaining… Go for it! Despite unnecessary romantic interludes, the first half of Raid plays like a taut police procedural. Director Raj Kumar Gupta, writer Ritesh Shah and editor Bodhaditya Banerjee create a suspense thriller in which the good guys need to find the stolen goods before the bad guy shuts them down. In its textures, Raid aims for a gritty realism but the characters are painted in broad strokes. Eventually the punch is predictable but after a few stumbles, it does land. On the whole, Raid is a box-office winner all the way. It has entertainment and a patriotic feel about it, which will be loved by the audience of multiplexes and single-screen cinemas alike. Five years after the misfiring Ghanchakkar, a film that went round in circles with no apparent purpose, director Raj Kumar Gupta regains some of his mojo in Raid, a gripping search-and-seizure procedural boosted by its focused intensity and the commendably restrained performances from Ajay Devgn and Saurabh Shukla. It hits the right buttons consistently and, barring the largely gratuitous background songs, does not stray from its chosen course. Raid had potential, but it comes off overlong and tepid. And where is the city of Lucknow? What we get is same-old flashes of historic buildings in all their crumbling glory, as a backdrop to drab songs, but no sign of the vibrant, living culture of the place this film is supposedly set in. A good film is it’s own reward. Raj Kumar Gupta has made an entertaining and impressive film with Raid. Ritesh Shah has written an intelligent script and screenplay one that has interesting characters and dialogue too. Raid is an engrossing film, its moulded in the commercial film format. There are songs, there are twists, there’s an abundance of thrills and there’s even an action sequence. This one has all the trappings of a film you’d want to root for. Raid throws light on another crucial aspect of their story that we all ought to know, minus stereotypical Bollywood-style glorification. Barring those silly songs, the gendered language of the closing text (which assumes that all income-tax officials are male, contrary to what we see in Amay’s office) and a passing line about homosexuality that could perhaps have been better written, Raid is on point, insightful and engaging. This is not the kind of fare you might expect to set your pulses racing, but that is precisely what Raid achieves in its closing scenes. Raid is not regular Bollywood. What it is though is thoroughly entertaining. But there were two disparate movies being played out here in Raid. On one hand, Raj Kumar Gupta was intent on resurrecting the painstaking and arduous raid to the last shady detail, and on the other he was intent on showcasing the syrupy relationship between a deadpan Devgn and his lovely wife who feared for her husband’s safety. It wasn’t a holy union and the genre-blending effort to unite two subplots wasn’t seamless. 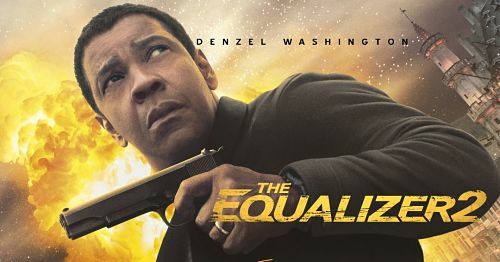 Watch this only if you want to cough up your hard-earned white money for a messed up crime drama that lacks tooth. While watching the movie, you can’t help but draw parallels with Akshay Kumar’s 2013 movie Special 26. Neeraj Pandey put out a pulsating thriller making us sit on the edge of our seats and that’s where Raid fails. Ajay Devgn is good at playing an officer taking over the system, be it in Singham or Gangaajal but Raid pales in comparison. Maybe, it is a film for his fans who love him in this avatar but it is high time he reinvent himself. Go watch this film if you have no plans but go with zero expectations. Or maybe just skip it.